Brisbane Hair & Beauty Expo 2017 | [All Things Tanning] For Tan Fans! 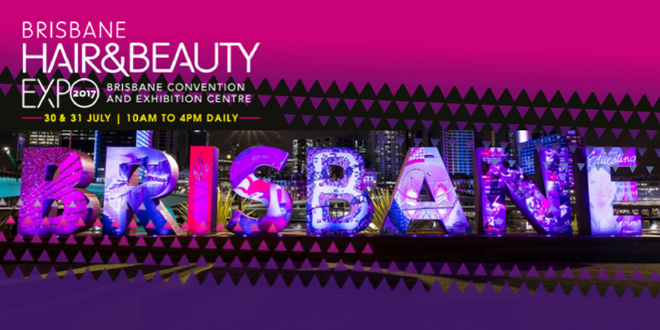 The third annual Brisbane Hair and Beauty Expo will be staged on Sunday 30th and Monday 31st July 2017 at the award-winning Brisbane Convention and Exhibition Centre. With an increase from 1 to 1.5 halls in 2017, over 6000 hair and beauty industry professionals will experience the latest in education, products, techniques, equipment and entertainment from the industry’s leading brands, suppliers and talent. This event provides a unique opportunity for hair and beauty professionals at all levels to enhance their knowledge and skills, meet and develop relationships with industry members and suppliers, and gain valuable inspiration. VIDEO: Re-live the 2016 Brisbane Hair and Beauty Expo with behind-the-scenes interviews and commentary from major industry leaders! In 2010 Eco Tan made Australian history by being the first tan to use organic ingredients Certified by the Organic Food Chain. Five years later Eco Tan continues to pioneer game chaining products for the natural beauty and body care industry. Now available across the globe. Made by an Aussie mum with love and integrity, we are proudly Certified Organic, Vegan and Peta accredited, 100% natural and certified Toxic Free by Safe Cosmetics Australia. Salon Supplies & Furniture are leading suppliers of all professional Nail and Beauty products and Industry Education. SOLAIRE THE SPRAY TAN SPECIALISTS – 7 Years in a row the Solaire® – the spray tan specialists have been finalist or have won the Bridal Industry Awards. Solaire® spray tan solution continues to collect accolades that are second to none! Solaire® spray tan solution system is the industry’s most awarded spray tan. MEDITERRANEAN TAN WAX & BEAUTY – Scientifically formulated to clinically outperform. Chosen by Miss Universe® Australia as the official tan 2012-2016. All of our products are manufactured in a pure organic environment, with exotic ingredients, We are PETA approved as Cruelty Free and Vegan. Tan Of Nature Spray Tanning Equipment, Tanning Solutions and Retail Products. TechnoTan are recognised for both product quality as well as business support and present a complete offering for spray on tan related products. Visit Expo Exhibitor List For More Information.